The Jussi went loose-y during the Penguins preseason game against the Columbus Blue Jackets on Saturday, but in the end his natural hat trick was not enough to defeat the newly aligned division rival. Marc-Andre Fleury gave Pens fans a reason to have anxiety after allowing two goals on three shots, but seemed to settle in the net further into the game. He will have to hold up given the newly announced blood clot to Tomas Vokoun. Time for Fleury to put his new mental edge approach to use. Brandon Dubinsky, and Boone Jenner gave the Jackets first period goals with an added second period goal from Cam Atkinson. Jokinen scored the next three goals, two being set up by non-other than previous NHL MVP Evgeni Malkin. 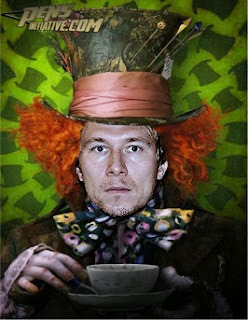 Jokinen seemed to fit well with superstars James Neal and Malkin. He could give Head Coach Dan Bylsma more options with the second line during the regular season. Jenner scored what ended up being the game winning goal 7:21 into the third period after a shot that went in off of Brooks Orpik and Columbus added an empty netter by Derek MacKenzie in the final minute of the third. Pittsburgh held a 15-5 shot advantage after the first but could not seem to get the puck past Sergi Bobrovsky. Marc-Andrew Fleury stopped 19 out of 23 shots in front of the net while last season’s Vezina Trophy winner stopped 38 shots. The Penguins will continue their preseason on Monday when they host the Blackhawks at CONSOL at 7:00 PM. In the meantime Ray Shero will offer to pay Fleury’s psychologist overtime and try to #Shero an opposing General Manager for a goalie.